Monumental, right?! 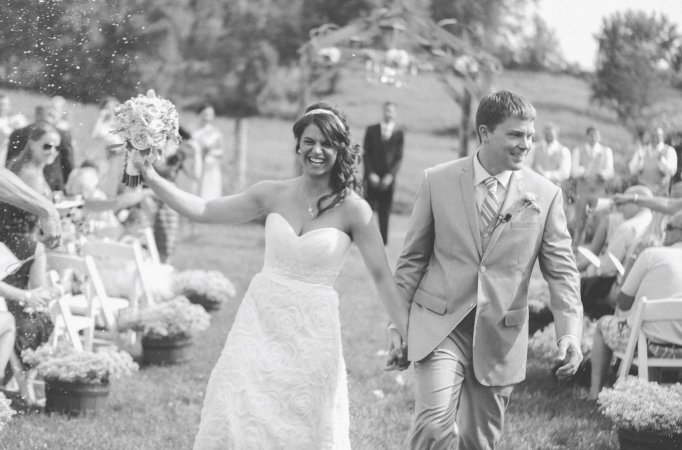 It sounds like such a no brainer, but brides really should utilize Google docs and I will share how and why I did because I used it for 7 months straight. As a very type-A individual, I love spreadsheets, color coding, formatting, and really just anything that makes information easy to communicate. My Google Docs spreadsheet, “Wedding Planning” was my central database of all my wedding details all buttoned up into one pretty package. Oh the internet. Where would we be without it?! Since Google docs is stored “on the cloud”, it can be accessed from ANYWHERE. I personally loved this as sometimes I’d be wedding planning at home, at work (guilty, but perhaps just a little bit :), my phone, my parents computer, so on and so forth. To be able to access the most recent updates to the spreadsheet from anywhere was so invaluable. Also, to always be able to update the spreadsheet from any location (vs. having a million post-its and notes in 10 places) was fabulous. Real world example: I would often pull up the spreadsheet when I was shopping at Macy’s for the groomsmen shirts and I could pull up all their sizes on my phone. 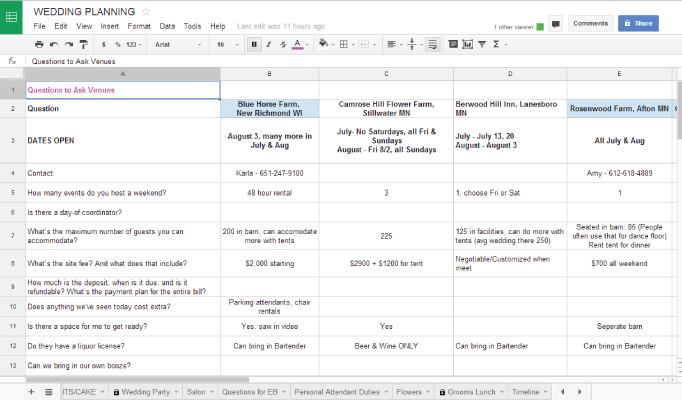 I shared certain tabs of my spreadsheet with my sisters (Bachelorette Party tab) and my (now-husband) to help delegate tasks out. Pretty sure brides check-lists of “to-dos” is long enough, I say, why add more stress/chaos to the mix by having all your info stored in a million different places? I used this spreadsheet almost daily and became very familiar with all the information and where it was so I could utilize it in my planning. I hope this helps some brides in their planning! What Should My Guys Wear for My Wedding? would you be willing to share a template of your docs? 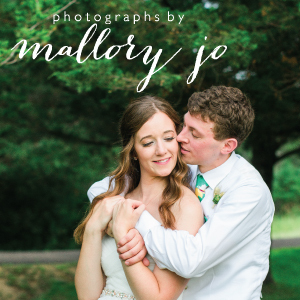 congratulations on your beautiful wedding!